Published by Dutton, member of Penguin Group, Inc.
At the request of Kaye Publicity, a HC was sent, at no charge to me, for my honest opinion. Synopsis (borrowed from B&N): Marcus Sakey returns with his most ambitious novel, a captivating story of love and memory, where the only thing more frightening than the questions are the answers. What is he doing here? How did he get into the ocean? 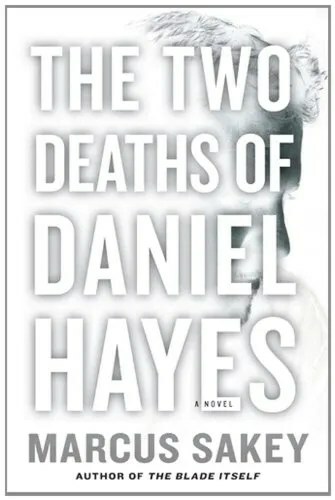 Is he Daniel Hayes, and if so, why doesn’t he remember? While he searches for answers, the world searches for him-beginning with the police that kick in the door of his dingy motel, with guns drawn. Lost, alone, and on the run, the man who might be Daniel Hayes flees into the night. All he remembers is a woman’s face, so he sets off for the only place he might find her. The fantasy of her becomes his home, his world, his hope. And maybe, just maybe, the way back to himself. My Thoughts and Opinion: I feel that I need to begin this review with a caveat in fairness to the author. It took me longer than usual for me to read this book, not because of the author or plot but because of real life issues that needed to take a priority. If not for that, this novel would most definitely be a can’t put down read. I did have a bit of difficulty focusing in on the characters and plot the first 1/3 of the book but again, my mindset. Once, I was able to focus, the ride was unstoppable. The characters appeared life like, however, I kept going back and forth in my mind as to who was actually the victim or victims. The plot, action packed. (Vague-do not want to include spoilers) What was real? What was the truth? After reading the last paragraph, I literally sat there, stunned, with how it ended. Will there be a sequel? I hope so!! MARCUS SAKEY TO GIVE AWAY. SEE BELOW.